It is no secret that homosexuality is a taboo in many African countries, but recently, a proposed controversial bill that promulgates life imprisonment and the death penalty for homosexuals, as well as the publication of a list of names, pictures and addresses of homosexuals in Uganda catapulted the East African country to the rank of [arguably] the most homophobic country on the planet. 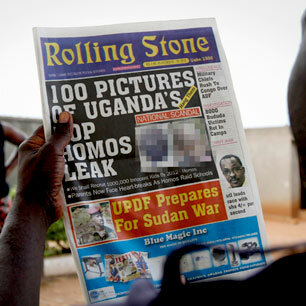 You've probably heard that last month, a two- month old newspaper in Uganda that has adopted the name of a famous U.S magazine - Rolling Stone - published the names and photographs of 100 "top" homosexuals in Uganda and urged the police to "investigate", "prosecute" and "hang them". As if this is not enough, on 1 November 2010 the newspaper published, with impunity, more names and photographs. 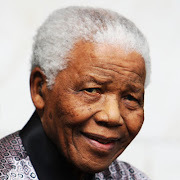 While it is true that many Africans subscribe to this hateful and homophobic school of thought, it is also true that people of conscience worldwide believe that no natural person should be investigated, prosecuted and hanged on the basis of sexual orientation. The publication of names, photographs and addresses of unsuspecting Ugandans does not only put the latter in harms way, but violates the fundamental right to privacy and security of persons. A High Court judge in Uganda ordered the newspaper to stop publishing the names of people it says are homosexual because the publication is "an infringement or invasion of the right to privacy." 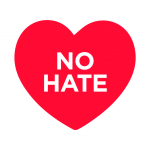 This is a move in the right direction, but more could and should be done to bring the "Rolling Stone" impostor to justice for violating the right to privacy and inciting hate and violence against a vulnerable group of individuals. It is worth mentioning that the renown U. S magazine Rolling Stone has condemned the Ugandan newspaper that bears its name and demanded they seize using the name.